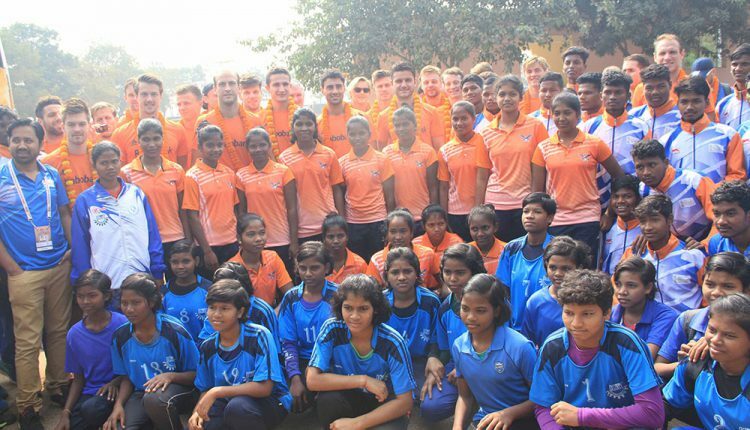 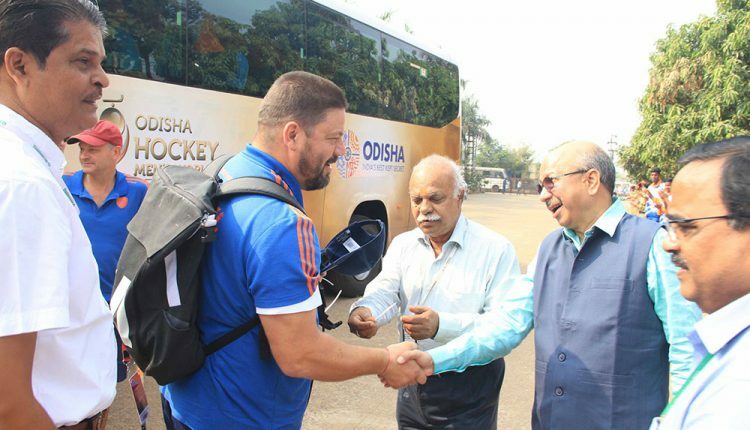 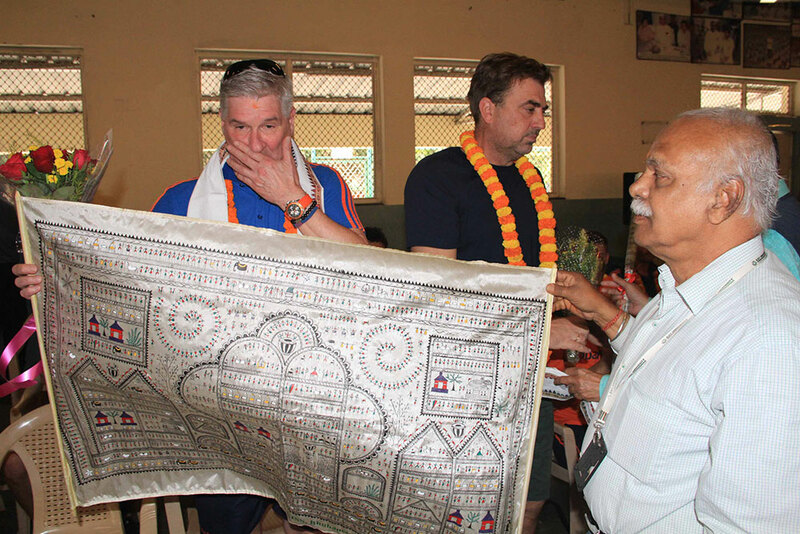 A 28 member Netherlands Hockey Team comprising of 18 players and 10 support staff who presently are in Bhubaneswar on the eve of the ongoing World Cup Hockey visited KIIT and KISS today. 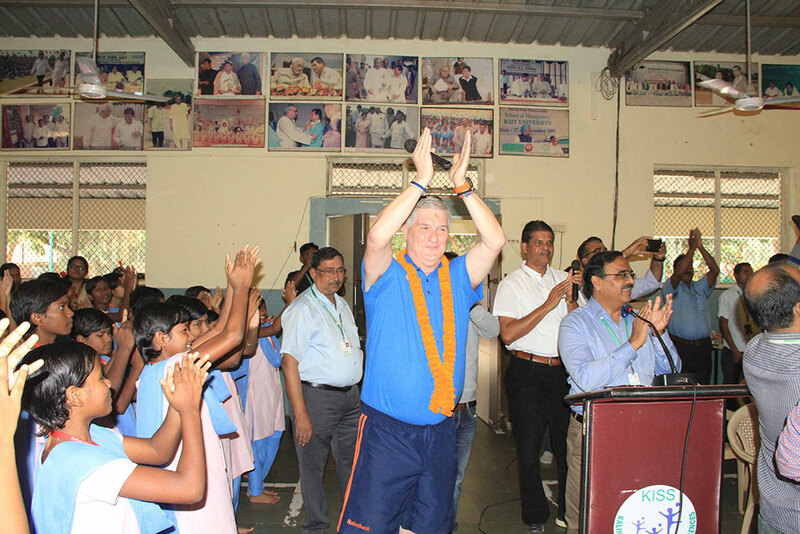 They were offered rousing welcome on behalf of the students, staff and management of KIIT and KISS. 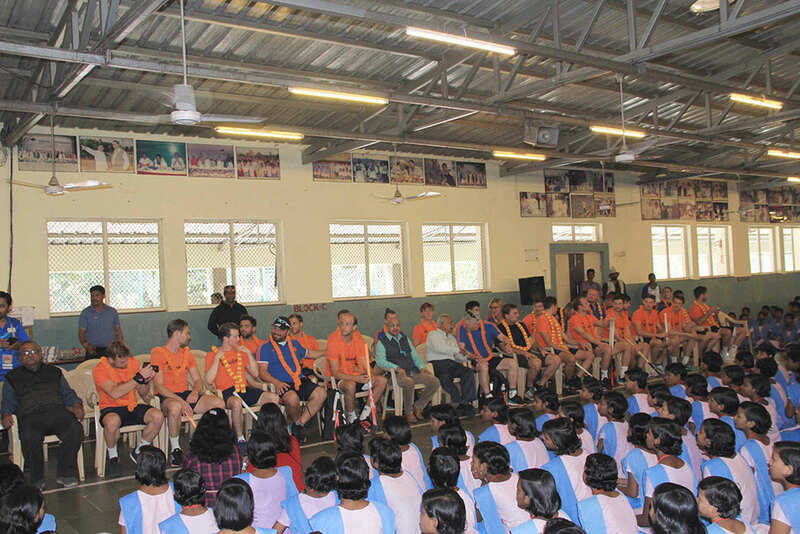 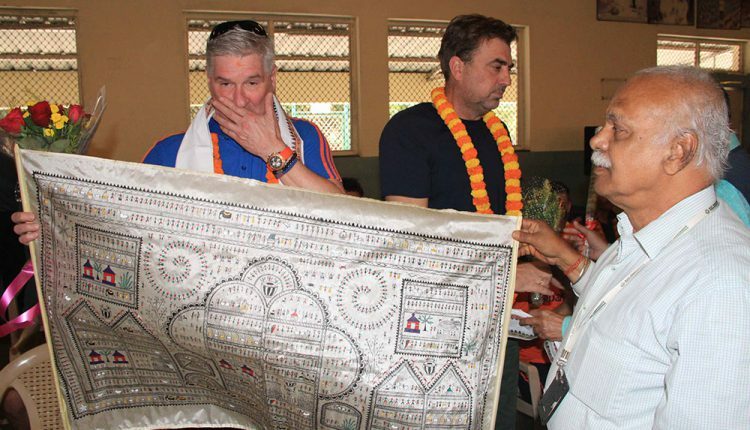 They became overwhelmed and thrilled to meet indigenous students in a massive scale. 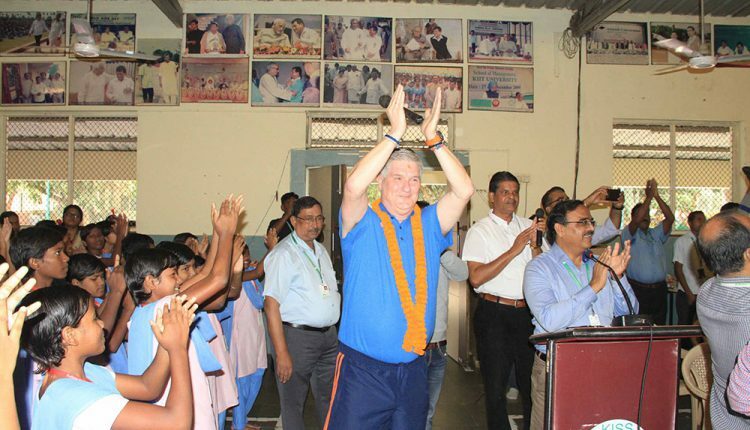 They bestowed profuse praise on the Founder of KIIT and KISS, Dr. Achyuta Samanta for establishing such an exceptional institution like KISS. 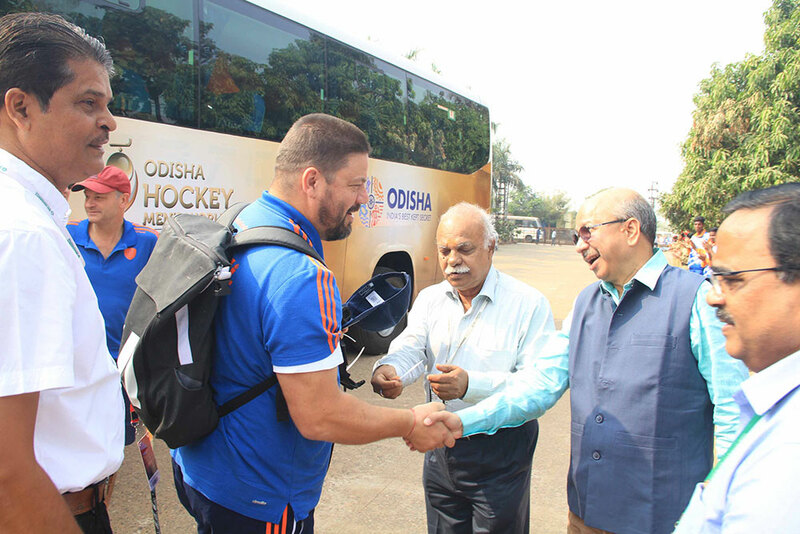 On this occasion they taught the updated techniques of Hockey, particularly Goal Keeping to KISS students and also played a friendly match with the students on the new turf laid at KIIT Hockey Stadium. 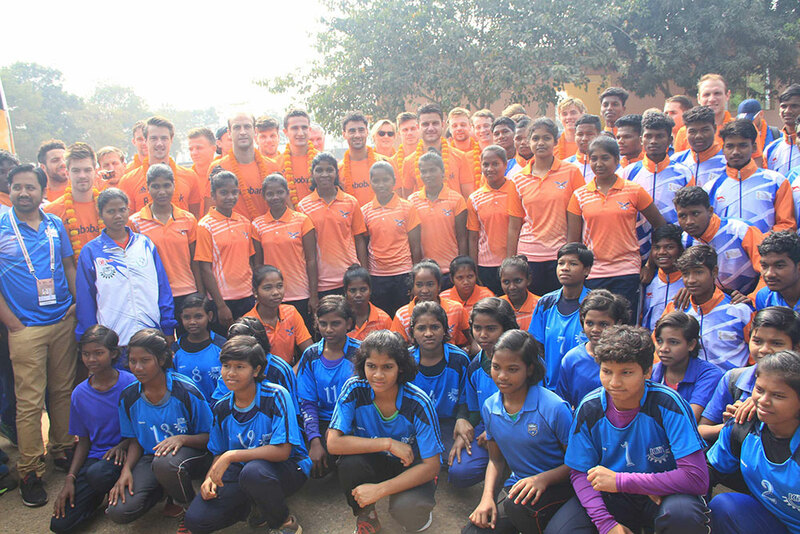 For the greater interests of the promising Hockey Players of KISS, they declared to donate a sum of Rs.2,50,000/(two lakh fifty thousand rupees). 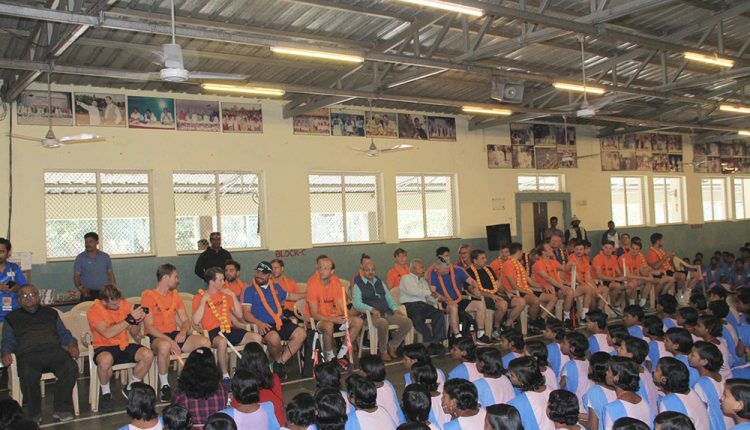 Sri R. N. Dash, Secretary, KIIT and KISS; Dr. Prasanta Kumar Routray, CEO,KISS; Shri Suryakanta Mohanty, COO, KISS; Dr. Gaganendu Dash, Director of Sports, KIIT DU and Sri Rudrakesha Jena, Assistant Director, Sports-KISS were present on the occasion among others.